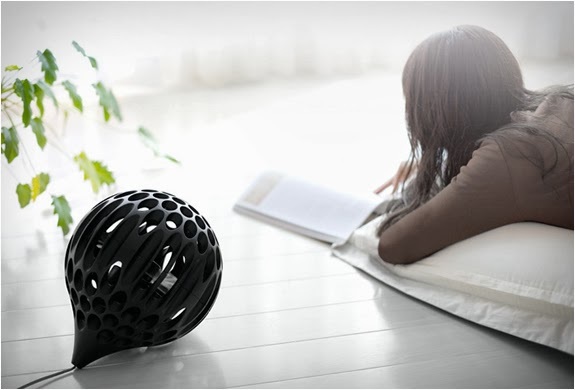 The unusual Aero Sphere Fan has deservedly won the prestigious "Best Of The Best” Red Dot Design Award which is awarded for groundbreaking design and is reserved for the best products in a category. Designed in Japan, the sculptural household appliance features a unique honeycomb design, which channels air away from the blades so that it travels much further into the room for more effective cooling. Also included are a AC adapter, remote control and stand. You can see and learn more here.